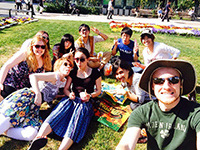 Summer is the best season in Hokkaido so come and study Japanese and experience Japanese culture this year! 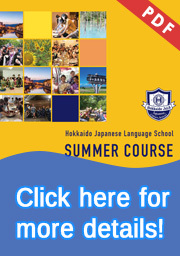 Hokkaido JaLS has prepared summer course for those who are searching for a fun summer program. Please see the pamphlet for more information. Here. *It is possible to join for two courses. 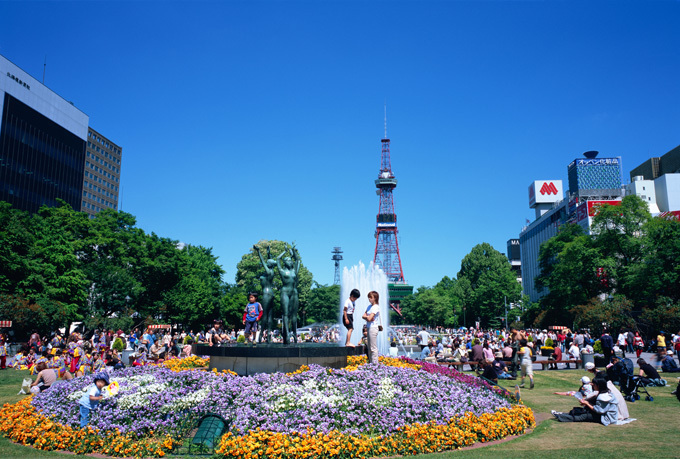 Hokkaido Japanese language school is located in Sapporo which is the 4th largest city in Japan. Sapporo is the city where even Japanese want to live the most. The season from June till August is particularly good. Apart from Hokkaido in cities like Osaka and Tokyo June is the rainy season when it’s hot and humid. But Hokkaido doesn’t have a rainy season and the summer is pleasant and refreshing which allows you to concentrate on studies. Compared to the rest of the Japan where July and August is hot Hokkaido’s weather remains cool and even in the hottest summers the average temperature is 22 ℃. 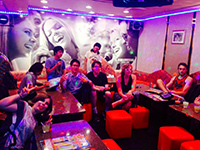 This environment allows you to concentrate on your Japanese studies. For more information on Hokkaido please go to the About Hokkaido page. 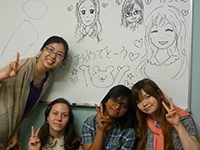 If you want to experience Japanese pop culture we would recommend the Summer A course for you. On June we are going to go to a big manga and anime festival. 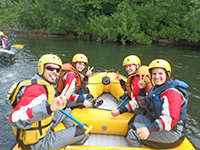 To experiencing the nature and traditional Japanese culture we have prepared lots of activities that change every week. Let’s enjoy the Hokkaido’s summer which is cool and enjoyable. We recommend the Summer course B if you want to see Furanos famous lavender fields that are a popular tourist destination for Japanese as well. On July let’s go and see the lavender fields that are in full bloom. 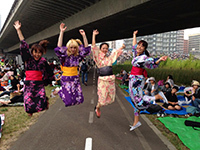 In six weeks you can enjoy Japans summer, cultural experiences and activities that change every week. 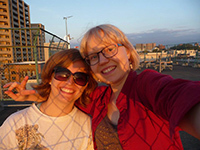 It is possible to participate in Summer Course A and B consecutively. For example, admission is on Monday 25th June and graduation is Friday 20th July. We are flexible and welcome you at any time. This course is recommended for those who are not interested in the culture lessons. 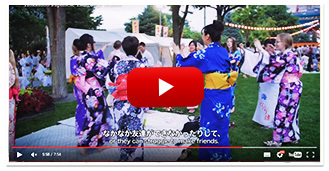 There will be three Japanese lessons in one day which will allow you to fully concentrate in Japanese studies and by participating in the activities you can enjoy summer in Hokkaido. 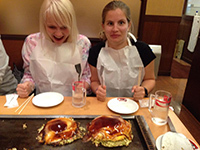 Of course you are able to participate in the cultural activities that you are interested in for extra 5,400 yen payment per activity. To see more details please go to the Standard course page. 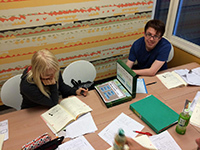 JLPT preparation course is held twice a year. 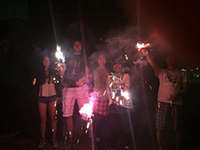 This course is for those who are from countries where kanjis aren’t used. 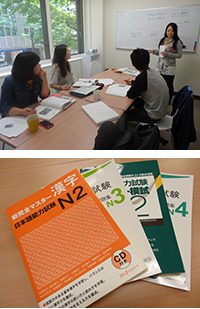 Three weeks intensive course includes kanji, grammar and reading comprehension which are weak points for many students. The courses are separated to N2 and N3 levels. An experienced teacher will teach you in a way that is easy to follow. For the test in December let’s study Japanese intensively in cool Hokkaido. For more information please see the JLPT Preparation Course page.